Warm, very – no wind. = Bells rang & cannon & anvils roared all last night – Celebration went off well – good oration by Rev. Mr Dickerman – Fireworks & ball in evening. An oration by a public figure or clergyman was a must. That would be followed by the reading of the Declaration of Independence and at least one patriotic poem. There would have been a parade too, and the town was decked out in red, white, and blue bunting. It was a day long event, and as Bidwell notes, it started the night before, and went on well into the evening of the 4th with fireworks and dancing. Bells ringing and cannon firing makes sense, but what’s this about “anvils roared?” How do they do that? 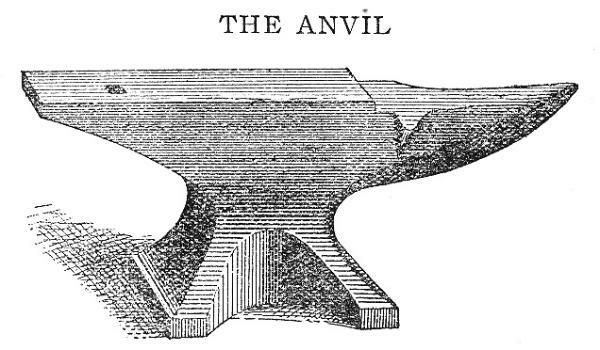 Take one anvil and turn it upside down. On the underside is a hollow about the size of a brick. Pour in some gunpowder and place a fuse or a trail of gunpowder. Then place the other anvil right side up on top. When you light off the gunpowder, you will get a terrific explosion and the top anvil will fly at least a hundred feet in the air. It will come down too, so clear the deck. You can find some examples of anvil firing on YouTube, like this one. This entry was posted in 4th of July. Bookmark the permalink.